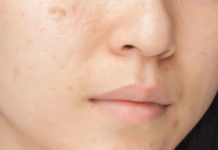 Acne and oily prone skin are connected to each other. Most of us are quite familiar with it. But, I think only a few people know how to treat acne perfectly. And don’t know what types of products should use in this situation. If you use general skincare products, things might turn to a worse condition. Today, I will talk about the most used skin care product, the lotion. You can found many lotions in the market. Stop picking a random one from them if you have oily and acne prone skin. Because this skin is tough to manage. You should pick one that is specially made for the oily or acne-prone skin. Below, I made a list of some oil-free lotions that provide special care to the oily and acne prone skin. They are packed with highly potent ingredients. 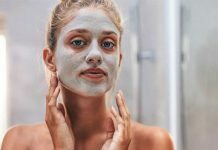 You can get a soft, moisturized, and radiant skin after using these lotions. Besides, these lotions will protect and treat acne, breakouts, pimples, blemishes, and zits. This skin correcting lotion is lightweight and oil free. It is great for oily and acne prone skin. This lotion controls excess oils and reduces surface shine. It keeps your pores clear and minimized. This lotion contains retinol to restores the youthfulness of the skin. And its soy flour firms and protects the skin. Murad Skin Perfecting Lotion is dermatologist developed and tested. It balances the oily and dry zone to improve the texture and bring back the healthy looking skin. This moisturizing lotion contains Betula Platyphylla Japonica Juice (Birch Sap) and exclusive ultra-moisturizing ingredients to provide proper care to your skin. It penetrates deep into the skin for proper moisturization. Cosrx Oil-Free Ultra-Moisturizing Lotion provides optimum moisture to your skin. It is great for oily and acne prone skin. This lotion gives you a soothing sensation while moisturizing. It helps to restore the lost moisture. It gives you to have a shine-free, soft, and moisturized skin. The core elements of this facial lotion are sodium PCA, aloe vera, chamomile, and glycerin. This lotion is oil-free and great for normal to oily skin. Works better to control acne or blemishes. The objective of this lotion is not to outshine your personality. It moisturizes your skin with sodium PCA and glycerin. And gives a soothing sensation to the irritated skin with aloe vera. It absorbs quickly to provide deep hydration to the skin. Lightweight and leaves your skin fresh without any residue. This moisturizing lotion is ideal for the oily, normal, sensitive, or dry skin. The key elements of this lotion are ceramides and hyaluronic acid. It provides long-lasting moisture and improves skin barrier function. Tucker Ashley Perfecting Moisturizer is oil-free. It is specially formulated for daily use. It is non-comedogenic and paraben free. This moisturizer penetrates deep into the skin to nourish and moisturize throughout the day. It protects and restores the skin and gives you a younger looking appearance. This is nice healing lotion provides oil-free hydration. It keeps your skin oil free by repairing and balancing the overactive oil glands. Control Corrective Oil-Free Healing Lotion is silky light to use. It is specially formulated to purify and tone the skin. This lotion gives you glowing skin by reducing sebum production and imbalances. It is perfect for normal, oily, and combination skin types. This lotion is very soothing and calming to the irritated skin. It helps to reduce pimples. This facial lotion controls shine of your face by removing excess oils. It is ideal for the oily, acne-prone, and sensitive skin. This lotion comes with non-drying formula. It will not clog pores and strip your skin’s natural oils. Cleure Oil-free Facial Lotion is made in the USA. This lotion provides proper moisture and nutrients to your skin. It is dermatologist tested for the skin safety and hinders the presence of pimples. It is hypoallergenic and noncomedogenic. Completely free from alcohol, fragrance, and parabens. This is a great moisturizing lotion for oily, shiny, sensitive, acne prone, and blemished skin. Perfect Body Harmony Moisture Repair Lotion is oil-free. It repairs and heals traumatized and damaged oily skin types by absorbing excess oil. It also disinfects your skin while moisturizing. After applying, you will notice a silky matte finish on your skin. It helps you to get a nice looking skin by shrinking pore and removing discolouration. It balances the skin’s pH and sebum. This lotion is non-comedogenic and oil free. It is perfect for the oily and normal skin types. It is a natural moisturizer for acne prevention. MyChelle Clear Skin Balancing Lotion is perfect for daily use. It promotes uniform skin texture and prevents future breakouts. The core elements of this lotion are dermasyr, lilac stem cells, yougurtene, grape stem cell, and probiotic. It gives soothing feeling with aloe vera. For the best result, apply twice daily on the face and neck after cleansing those areas. This lotion is essential to meet the need of normal to oily skin. La Mer The Oil Absorbing Lotion is oil-free. It absorbs excess oil to give a shine-free look. It comes with a potent concentration of nutrient-rich miracle. This lotion is ideal for warm weather climates. It leaves a soft matte finish to your skin. This lotion gives you a smooth feeling on contact. It gives you a radiance, renewal, and suppleness to your skin. This day lotion is suitable for all skin types including oily and acne prone skin. It minimizes the pores for a fairer look. It reduces greasiness of the skin and leaves a matte finish. The key ingredients of this lotion are certified organic aloe vera and vitamin E. It is completely oil-free and elegant for acne prone skin. It’s water based formulation will not clog pores. The lotion helps to balance the pH level of your skin. Ideal for use under sunscreen and makeup. These are the best oil-free lotions that are great for oily and acne prone skin. They provide proper moisture to your skin without any oily feeling. And also help the process by absorbing excess oil from the skin surface that will treat the formation of pimples on the face. To get smooth and acne-free skin, you should also use the skin care products that are made for only oily or acne prone skin. One product does not suit all skin types.